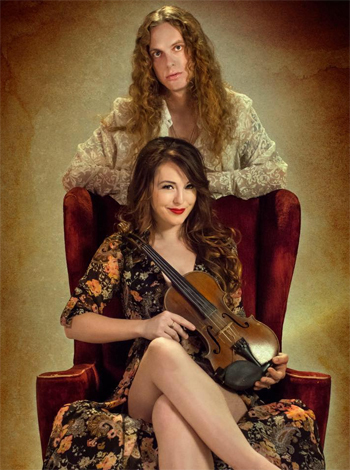 Led by husband and wife Tony Tyler (guitar, vocals) and Dani Jaye (violin, vocals), St. Petersburg, Florida-based Come Back Alice plays high-energy rock ‘n’ roll that evokes the best of arena-rock concerts of decades past. Come Back Alice is the headliner at the August 17 installment of Hendersonville’s Rhythm and Brews concert series. You have the energy and appeal of a jam band, but with more of a focused instrumental approach. Do you intentionally aim to bridge styles? Tony: We do a lot of improvisation on stage, but we also like to focus on songs. There is a difference between a jam band and a band that jams. The track “Live it Up” from your self-titled album has a fun lyric and an irresistible groove. When you’re writing songs, what comes first: the melody, the words, or that groove? Dani: The driving force is inspiration. Sometimes songs come all at once; it’s almost like they’re downloads. Typically those are some of our best songs. Did you start playing music together and then fall in love, or vice versa? Dani: It was a simultaneous attraction. Come Back Alice’s music sounds like the soundtrack for a party. But what do you do when you’re in front of a crowd that doesn’t “get it”? Clearly you both put time and effort into how you present yourselves visually onstage. How important do you think non-musical things like that are to a good show? Dani: Of course people see with their eyes, and they hear with their ears. When we’re up there onstage, we’re musicians first, but we’re entertainers. Tony: I think it’s important to give the crowd a complete experience. Otherwise we’re just some people up there playing songs at you.